If you have a third party Pull Printing solution, you can still benefit from Printix. Users can continue using existing card readers to sign in and release documents from the enabled printers’ touchscreen control panel. Printix allows you to automatically install the Follow/Pull print queues on the users’ Windows or Mac computer. Optionally you can allow users to submit documents from home and while travelling. 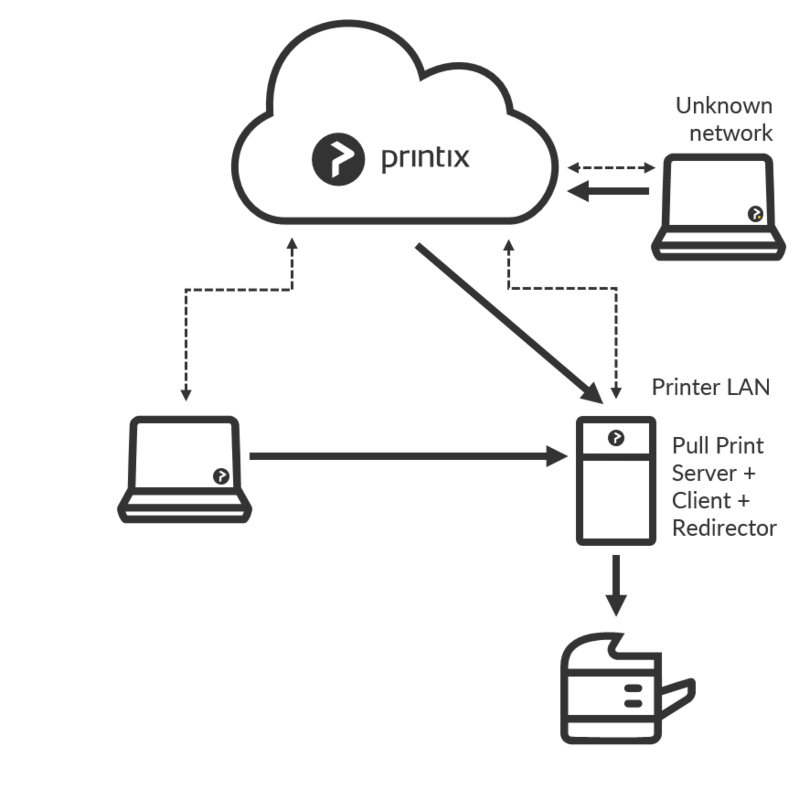 Install Printix Client and Printix Redirector on the (server or desktop) computer that has the Follow/Pull print queue installed. Ensure a v3 print driver is used. In Printix Administrator open the Printers page. The servername should be the fully qualified domain name (FQDN) of the server running Printix Redirector. Example: myserver.acme.com. The printername should be the Printer name of the Follow/Pull print queue (PullPrint). Do NOT use a possible Share name. If the printer does not appear in Printix Administrator, then look for it on the Unregistered printers page. By default the print name is set to the name of the driver used by the Follow/Pull print queue. The default print queue is set to the name of the driver used by the Follow/Pull print queue. If there is no print queue, then Create print queue. In Printix Administrator open the Print queue properties page of the virtual printer. Clear Active, until you are done testing the print queue. Print a document to the added printer. Verify the document ends up in the third party Pull Printing solution, and you can release the document via the methods offered by the particular print management system. This may fail if the format of the username is not recognized. Check Active, so all users can use the print queue. Optionally check Add print queue automatically. Optionally check Via the cloud to allow users to print to the Follow/Pull print queue even though they are not on the same network.